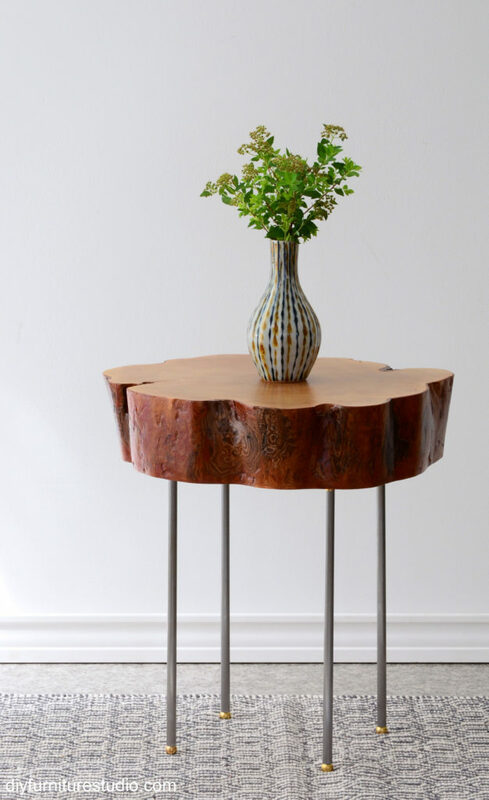 This live-edge tree slice table is made from a horizontal cut of the trunk of a mulberry tree. 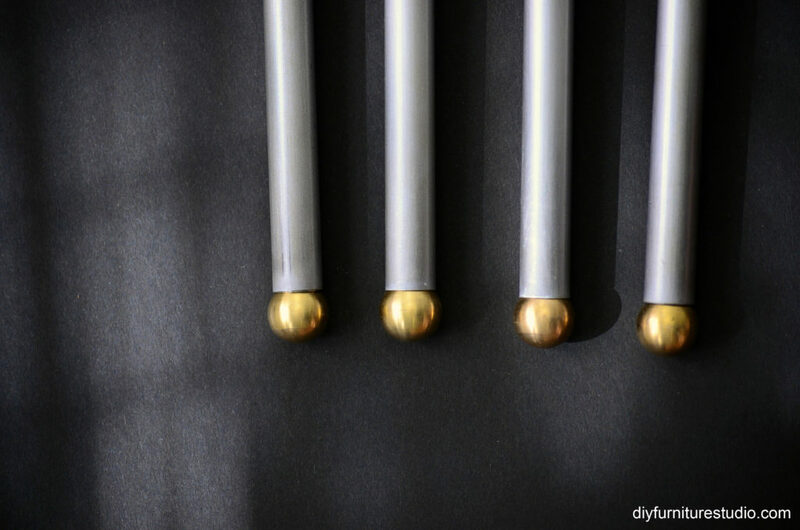 I made the legs, my new version of DIY industrial pipe legs, from steel lamp pipe and brass fittings. As I mentioned in the “About” section, I originally became interested in making furniture in order to furnish our three-season sunroom. I intended to rehabilitate the sunroom from being a storage area, and before that when the kids were little, a playroom. (I say “intended” because the sunroom is now my workshop studio.) I was looking for furniture that I could make, having limited skills, tools, and budget. The first type of furniture that caught my eye was the live-edge style. 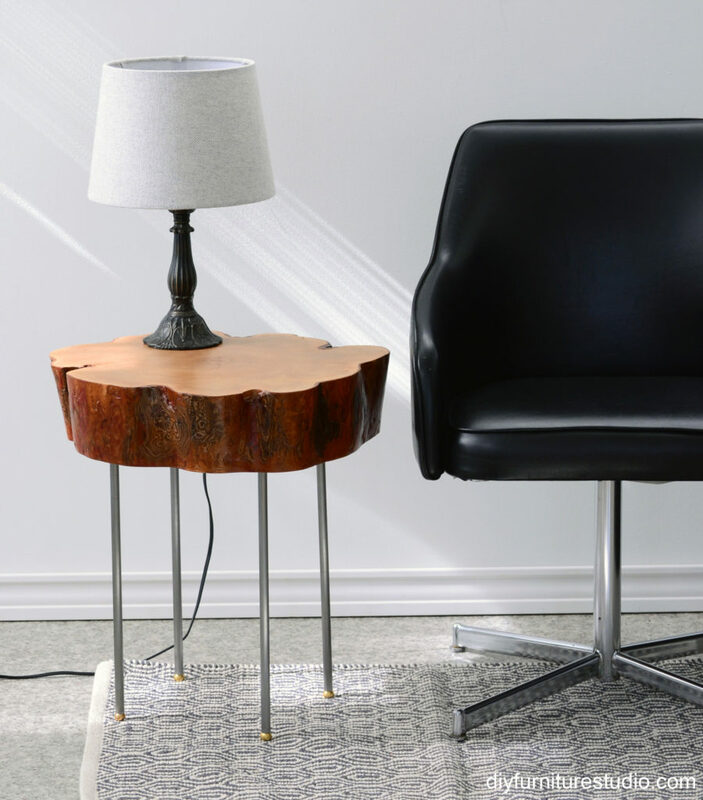 “Live edge” refers to furniture where the natural edge of the wood is incorporated into the design of the piece. It was popularized by George Nakashima in the middle of the last century. Live-edge furniture can be deceptively complex, with emphasis on craftsmanship, sanding, and finishing. 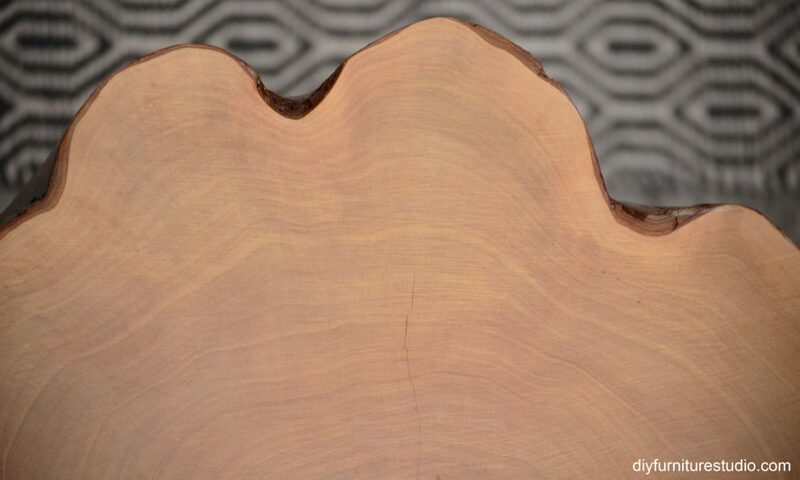 Because of the limitations I mentioned, I am making simple live-edge tables made of a “slice” of the tree, with legs. 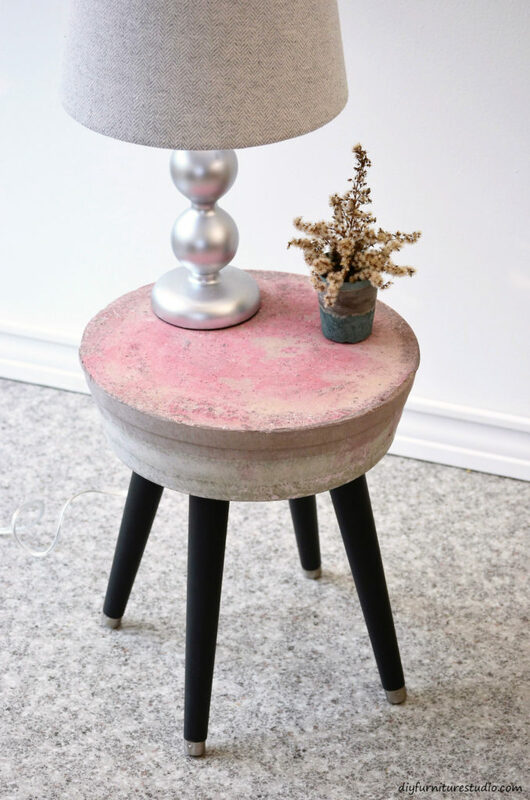 It is an uncomplicated style, rustic and elegant all rolled together!